Try your first lesson for just £10! My Driving Tutor is a driving school based in Morden, teaching pupils from all over South London. We welcome students of all experience levels and all ages, as our team of expert instructors are strongly trained in helping drivers of all abilities. Our instructors promise to teach each student in a way that will maximise their understanding of the road and safety on it – all whilst passing the driving test as quickly as possible! We are one of the fastest growing driving schools operating in Morden and South London, and a driving school that promises to operate at competitive prices coupled with an unbeatable quality of teaching. Not only are the hourly costs low, but due to our expert instructors we'll help you pass in a flash, so the number of hours you have don't need to rack up. We cater to our students whatever their needs, and that's why we provide both manual and automatic tutelage, helping prepare our students no matter what route they go down. We offer a quick and easy way to pass your driving and theory test with flexible lesson packages from fully qualified and tested instructors with excellent pass track records all across Morden, Wimbledon, Putney and the surrounding areas. Whether you are a complete beginner or you already have driving experience – we can tailor a driving lesson plan to suit your needs and get you through your driving test as quickly and conveniently as possible. See What Lessons We Offer! My Driving Tutor doesn't stop at only helping learning drivers; we will be here for you when you've passed your test, offering motorway lessons, pass plus and refresher courses all over South London. We also run a greatly successful instructor training programme, readying new instructors to begin work in under 15 weeks. Unbeatable speed and unmatchable quality. No matter wether you're learning in an automatic or a manual car, or would prefer a male or female instructor, we'll be able to arrange a lesson plan to fit into your life and schedule in Morden and nearby areas in South London. Your chosen instructor can pick you up from your home, school, college or place of work and can tailor the lesson returning you to your chosen destination. It may be that you would like to be picked up from school to start your lesson and finish your driving lesson by being dropped off at home. No Problem! - We can arrange that for you. 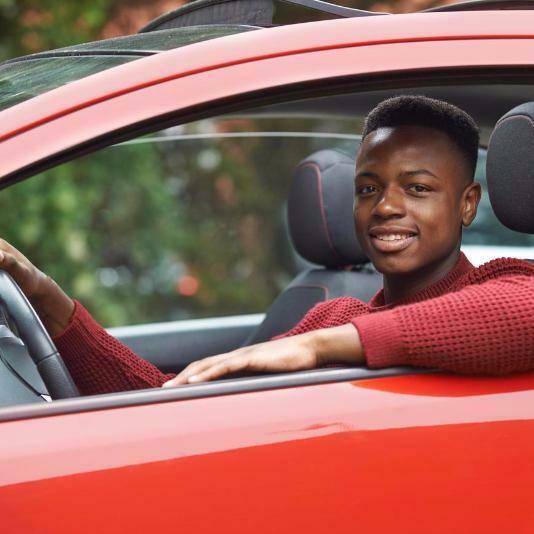 My Driving Tutor are building a great reputation for creating safe and successful new drivers in Morden and South London, and we are proud of the number of students we receive through word-of-mouth reviews, which only confirms our quality of lessons. At My Driving Tutor Driving School in Morden, you can book driving lessons by phone or by email – for a manual or automatic dual controlled car with your choice of a male or female driving instructor. Every member of our team of instructors at My Driving Tutor are fully qualified, courteous, professional, licensed by The Driving Standards Agency (DSA - an Executive Agency of the Department of Transport for the government set up under the provisions of the Road Traffic Act 1988) and CRB (Criminal Record Bureau) checked for your safety and peace of mind.